Diggler has stood out since birth and looked sensational in a very tough season. He had the claim of highest weight gain until pipped by his brother, Mount Major but if season was taken into account I doubt he would have been beaten. Diggler had a weight gain of 1.45kg day for his 200 day weight only from his mum and canola hay from drought affected crops. 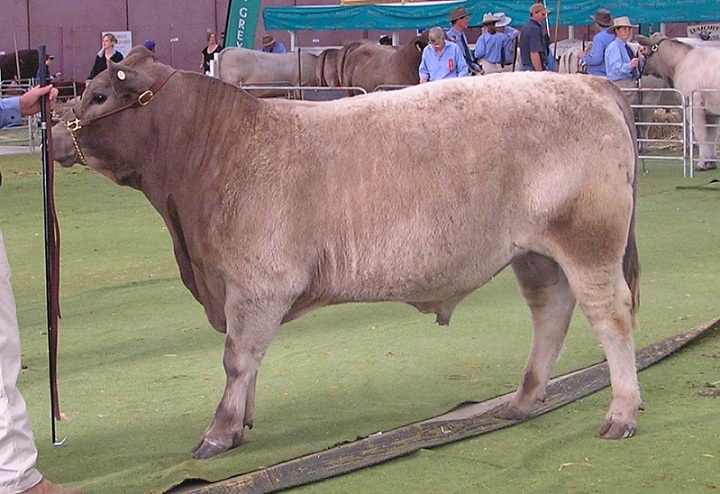 Pictured below at Bendigo Beef Week, he had been taken out of the paddock and broken in just two weeks before the show. His superb temperament allowed Josh McRae to lead him straight out of the paddock - certainly the favourite bull at Mount Major that year. This graph is based on August 2014 update. Click here to view most recent Breedplan data.